Will the sugar tax be effective? George Osborne has introduced the sugar tax on soft drinks, which will be introduced in 2018, to tackle child obesity. There will be two categories of taxation, one for total sugar above 5g per 100ml and a second higher band for drinks with more than 8g per 100ml. With Coca Cola at the high end of the levy, a standard can costing around 70 pence would have an 8 pence tax placed on it. High street coffees, teas and milk shakes will not be subject to the tax due to the health benefits of milk! So a Starbucks Coffee with more sugar than a can of coke is ok?! The sweetener is that money raised from the tax will provide funding for primary school sport. But will a sugar tax actually work? Mexico, with one of the world’s worst weight problems, introduced a 10% sugar tax on sugary drinks in 2014; with sales falling by 12% in its first year. Denmark, however, introduced a tax on foods high in saturated fat in 2011. A year later it abolished the tax stating it encouraged customers to cross to Germany to shop and failed to change eating habits. 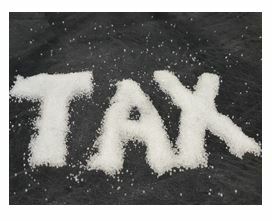 Plans to introduce a sugar tax were scrapped as a consequence. So maybe we need to look at the role of the parent in all this. Parents have a responsibility to provide a healthy nutritious diet for their child’s growth and development. Healthy eating and drinking habits adopted in early years stand a good chance of following through into teenage and adult life, reducing the risk of health problems such as obesity and type 2 diabetes. Parents are also role models, children learn by example. An environment of healthy meals, fresh food being prepared and available along with an active family lifestyle will go a long way to the child forming these habits to carry through to later life. Involving children in the meal preparation process and zinging some water up with pieces of fresh fruit are a couple of examples. The parent having some degree of control over what children eat and drink, along with the portion size is also important; it’s caring to say No if need be. Day’s out such as a trip to the cinema is generally associated with treats while watching the film but does a small child really need 2 litres of coke they can barely carry?! It’s yet to be seen if the sugar tax on sugary drinks will have a positive effect on children’s health and obesity. Sweet drinks are an easy, convenient way to consume a lot of sugar and calories quickly. If a tax on it raises money to go towards junior sport then that can only be a good thing. 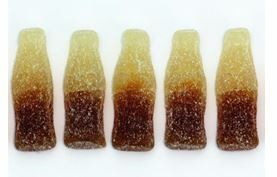 My fear is that there are always cheaper versions of the branded sugar drinks, which a levy will have little impact on. Education is key to tackling this problem and the government and schools along with other relevant health professional’s (including me!) have their part to play. Equally everyone has a responsibility to educate themselves; there is plenty of information available such as the NHS website for ideas eg the food plate. Sugar is found in many food types aside from drinks and it will always come down to excess calories consumed outweighing energy expenditure that will result in weight gain and obesity. There is nothing wrong with the odd can of coke and chocolate bar, if the main stay of your diet is formed from healthy nutritious food. It all comes back to that one word…… Balance.